Lana Griego was delivered Dec. 16 at 3.7 pounds. She was nine weeks early and didn’t take her first breath until four minutes after she had been delivered. It was the third quarter of a big game against nationally-ranked Black Hills State University when Fort Lewis College women’s basketball assistant coach Orlando Griego got news no expecting parent wants to hear. His wife, Katherine Sumrall-Griego, was rushed to the hospital. She was 31 weeks pregnant. Katherine was in attendance for the game. As soon as she sat in the bleachers behind the home bench inside Whalen Gymnasium, she knew something was wrong. She immediately left the game, and the coach knew something wasn’t right when he looked into the stands and didn’t see his wife. Within hours of arriving at Mercy Regional Medical Center, Lana Griego was born, nine weeks before the expected delivery date. 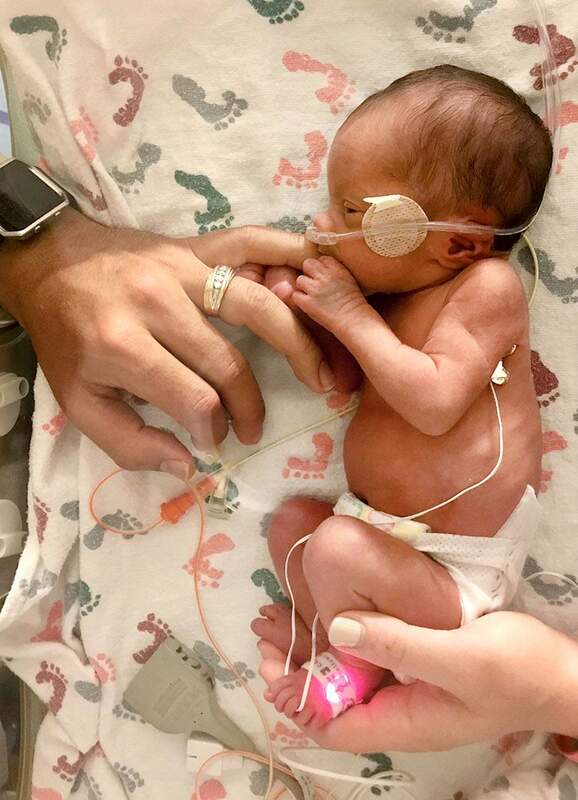 When Lana was delivered at 3.7 pounds, she was not breathing. She was given CPR for four minutes, and finally she took her first breath. Almost immediately, Lana and Orlando were flown to Children’s Hospital Colorado in Aurora, where they would stay through Christmas for four weeks. Once Katherine was released from Mercy, she joined her husband and daughter in Aurora. 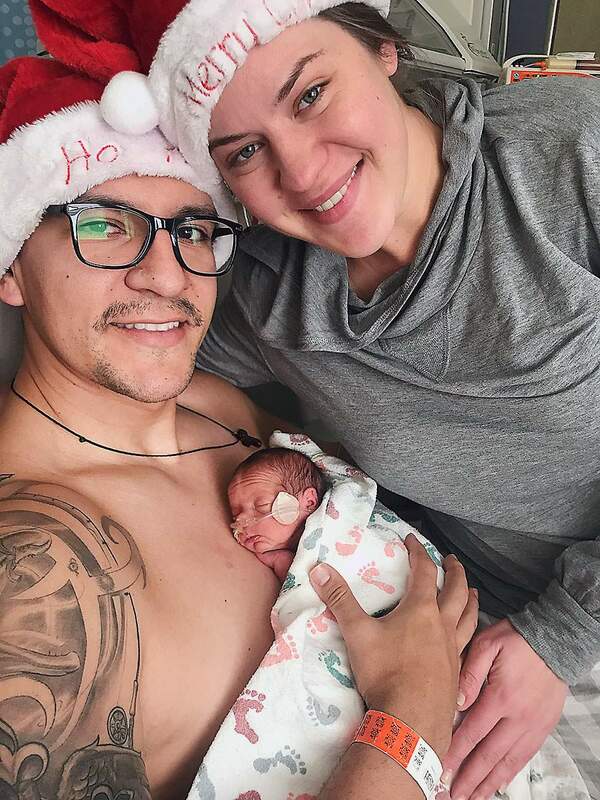 Though Orlando, Katherine and Lana Griego spent their first Christmas together at Children’s Hospital Colorado, the family was happy to be able to spend it together. Lana continued care at Mercy upon her return to Durango and eventually was released home Jan. 28, 43 days after delivery. She remains on oxygen but has continued to hit progress milestones. Katherine originally is from Georgetown, Texas. She attended Fort Lewis College and played volleyball under head coach Shelley Aaland until she graduated in 2010. It was while at FLC that she met Orlando, who is a native of Durango. He graduated from Durango High School in 2003 and played basketball under head coach Tim Fitzpatrick. Later, Orlando would join Fitzpatrick’s coaching staff when Fitzpatrick returned to coach the Demons’ girls team in 2014, seven years after he ended a 10-year run leading the DHS boys. 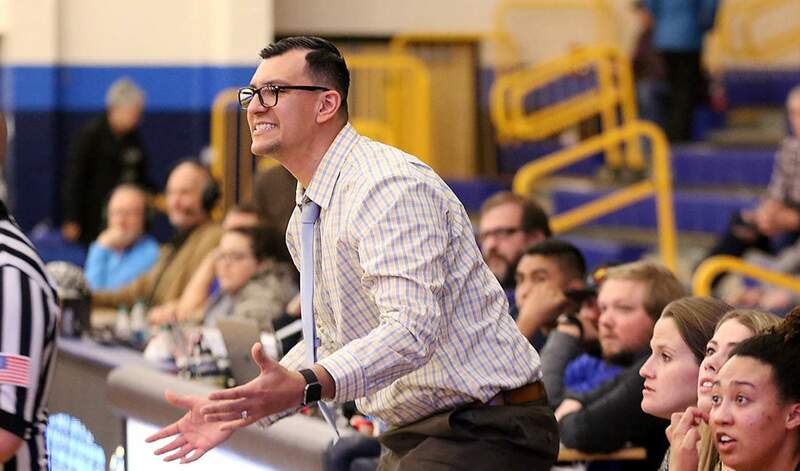 Before the 2018-19 season, FLC women’s basketball head coach Jason Flores added Orlando to his coaching staff as a volunteer assistant along with former Skyhawks player Mary Rambo, who is also expecting a child this spring. Flores, who has two young daughters of his own, said the Griego family’s experience has brought perspective to a tough season for the Skyhawks on the court. Once the Griego family returned home to Durango, Flores and the FLC athletics department worked together to create a benefit game, which will be held Feb. 16 with home games against Dixie State. The FLC women will play at 5:30 p.m., followed by the men’s game at 7:30 p.m. Instead of selling game tickets, FLC will ask for donations to Griego family, with 100 percent of the proceeds going to Lana’s continuing care. Flores said whether it’s a donation of $1 or $1,000, every bit will go to help. Orlando Griego, Fort Lewis College women’s basketball team assistant coach,is back on the bench with the Skyhawks. During a Dec. 16 game against Black Hills State, he got word his wife, Katherine, had been taken to the hospital, where she eventually delivered their daughter, Lana, nine weeks early. This Saturday, FLC will host a benefit game, with all proceeds of ticket sales going to the Griego family. “It’s shocking,” said Katherine, who is a real estate broker with Keller Williams. “It’s amazing to be part of a community that really does rally behind its people. We live in a special place. We’ve seen the humility of our community come out through other experiences with the community members and people in our network. When it becomes part of your world and you experience people reaching out of the blue to rally around you and support you, it’s quite amazing. I don’t think this happens anywhere else. It fills your heart to a degree that makes you extremely grateful for where we live in this community. Katherine and Lana won’t be able to attend Saturday’s benefit game. Flores hopes to see a packed gymnasium in honor of the two Skyhawks who can’t be there.